For me, there is a more personal history of the Radio Happenings: the story of how they came to light and were preserved. 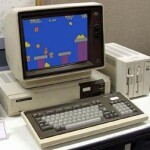 It all happened because of procrastination and the pre-Internet digital social world of Bulletin Board Services in New York City. It was a rare musicological adventure. 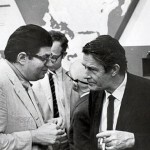 In this installment of my series on the Cage-Feldman “Radio happenings”, I describe where Cage and Feldman were in their lives at the time of the recordings, and present highlights of their conversations. 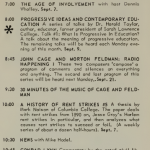 Introducing a series of posts telling the missing story of the Cage/Feldman “Radio Happenings” of 1966-67, a series of broadcasts that has been getting more and more attention on the web.